Google teamed up with Lucas Film to add Star Wars themes to many of the apps you use every day on the desktop and mobile. Thanksgiving doesn’t happen until Thursday, but Google is already preparing a feast of sorts for Star Wars fans leading up to the release of Star Wars: The Force Awakens on December 18. Starting Monday, you can add a Star Wars theme to numerous Google apps and declare your allegiance to the Jedi or the Dark Side. Visit Google.com/StarWars from your browser (Chrome works best, of course) and choose your allegiance when signed in to your free Google account—work, education, and government accounts can’t use this feature. YouTube showing Jedi lightsaber colors. Then watch as your Google apps reflect your choice. 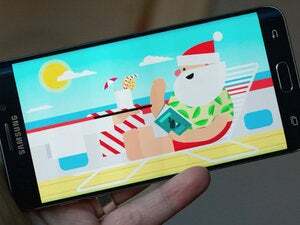 Gmail gets a new background image, YouTube’s progress bar turns into a blue or red glowing lightsaber color, and Google Maps adds Star Wars-themed pegmen as well as place indicators on mobile—the light side gets Rey’s crazy-looking land speeder. 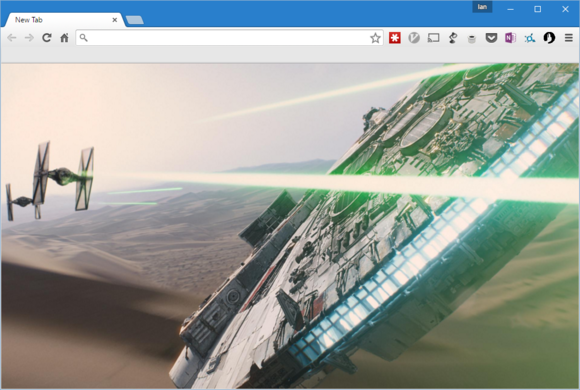 There’s also a Chrome extension called Awaken the Force Within that shows you different Star Wars background pictures when you open a new tab—I counted seven all together for the light side. 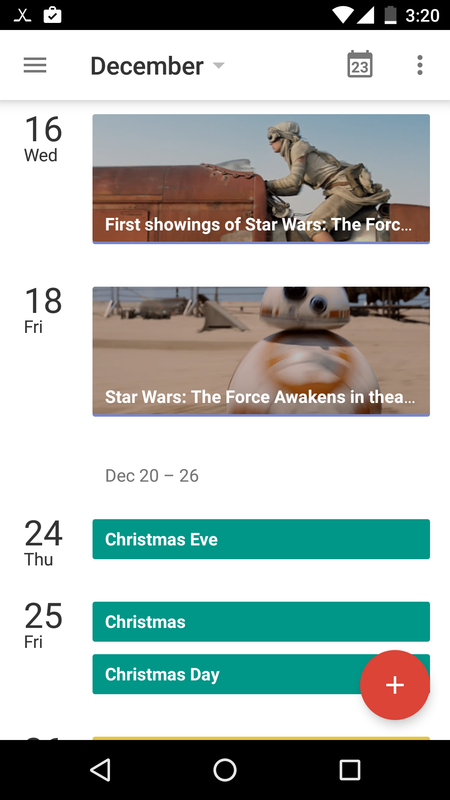 Google adds Star Wars dates to your calendar. The one thing you might find annoying is that Google adds events for Star Wars: The Force Awakens dates to your calendar, including first showings and the official theater debut. There are far more apps with Star Wars additions—12 at this writing—including Android Wear, Chromecast, Google Translate, and Waze. Google says there are also some easter eggs hidden away for you to find, and more Star Wars additions will roll out leading up to the movie release. The impact on you at home: If you don’t see any changes right away give it some time. Google says “it may take a few hours for the Force to awaken within all your apps.” Some items are also only available on the desktop including Chrome, Gmail, and YouTube. If you get tired of one allegiance and want to experience the other side, you can do that by visiting Google.com/StarWars again and clicking Change Side. You can also revert to the non-Star Wars look if you’d prefer. Google’s Star Wars experience works on Android, iOS, Chromebook, Mac, and Windows.